PARIS, France — Sunday, July 6 is the day all clay court tennis fans have been waiting for. A man who has 9 Roland Garros titles and an undefeated record in French Open Finals will battle a man who has never lost a grand slam final. Ladies and gentlemen, are you ready for the first Wawrinka vs. Nadal showdown of the season? After losing to him in Italy a couple of weeks ago, Rafael Nadal managed to beat Dominic Thiem in straight sets on Friday. While both players were able to breeze by most of their opponents, it seemed like Wawrinka struggled a tad more. Nadal made it to the finals without dropping a set, which is a praiseworthy feat considering he had to face Dominic Thiem, who beat him a few weeks ago in Italy. 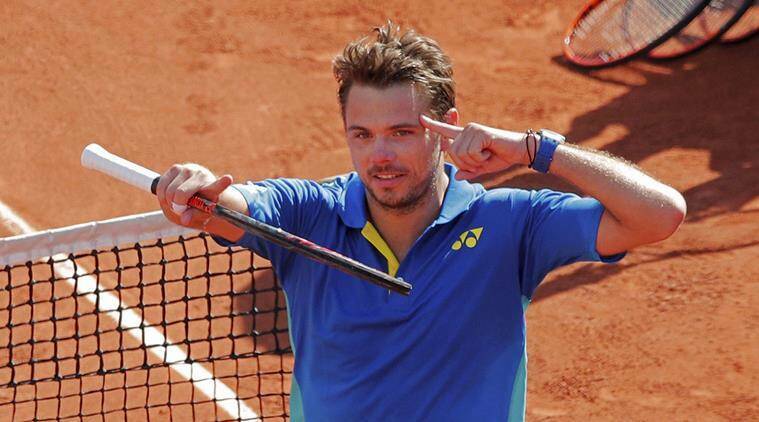 Wawrinka also didn’t drop a set until he had to play Andy Murray in the semifinals. Stan and Andy had a five-set match in which Wawrinka fought back from a 2-set deficit. Because Wawrinka had to face players like Fabio Fognini, Gael Monfils, Marin Cilic, and Andy Murray and only dropped 2 sets, it is safe to say that it has been especially difficult to tame the Stanimal recently. Want a more detailed look at how Wawrinka and Nadal made it to the Finals? Click here for Nadal and click here for Wawrinka. Wawrinka and Nadal have faced many times before, but the matchups that really matter are the ones that went down on clay. That being said, out of the 6 times that Rafa and Stan have battled on clay, Rafa has managed to win 5 of them. However, their last head-to-head on clay was last season and the one before that was in 2015, so it is definitely possible that previous matches will not play a factor in predicting the outcome of this one. Nonetheless, Nadal has a history of breezing by Wawrinka on clay, so it is also possible for this tradition to continue on Sunday. The Stanimal was confident with his tennis IQ after defeating Andy Murray in a 5-set thriller. Many records and a prestigious ranking are on the line for this match. If Stan is the winner on Sunday, he will prolong his undefeated record in grand slam finals. If Nadal takes the cup, he’ll have 10 Roland Garros Titles and 15 total grand slams, making him 4 grand slams away from beating Roger Federer’s legendary record. Along with the records on the line, both players in this match can become the #2 on the ATP rankings with a win. That being said, it is critical for both players to win on Sunday. The rankings, records, and overall importance of this match will motivate both Stan and Rafa to fight exceptionally hard for a win. I don’t think that Nadal will win in straight sets, but I do think he’ll win in 4, possibly 5. Judging off of his previous matches, the Stanimal will probably awaken for a brief period and steal a set or two, but at the end of the day, Nadal will probably come out on top. On Sunday, you can expect the King of Clay to tame the Stanimal and ultimately reign supreme for his 10th Roland Garros Title. What do you think, Courtside Watchers?